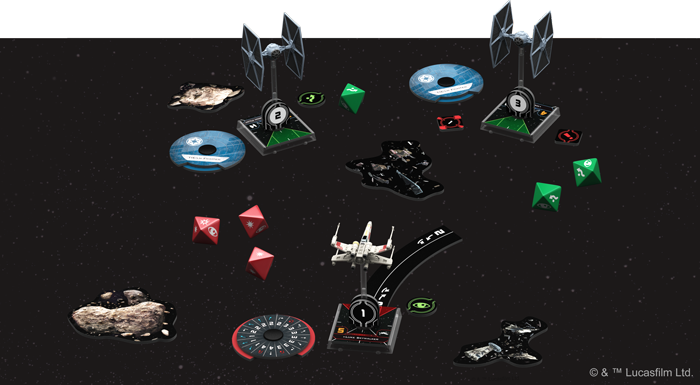 Above you’ll see the forthcoming Wave Three ships for the X-Wing Miniatures game. According to my tome of Star Wars apocrapha, they’re… hang on, the pages are stuck together. Paul must be on the milkshakes again. OK we’ve got the deadly B-Wing and Kyle Katarn’s own HWK-290 for the Rebels, and a TIE Bomber and Lamba-class shuttle for the Imperials. Oh, I guess I could have just read the press release. Hmm. I’ll be honest, I just check the Fantasy Flight homepage on a daily basis for Netrunner news. Like this! And this! Because it’s exciting to know which cards I’ll be failing to use properly next. 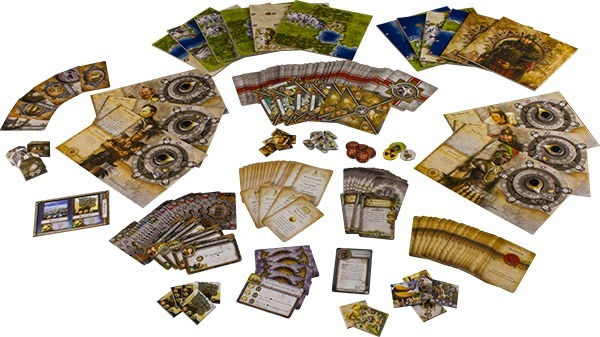 In more down-to-earth news, Fantasy Flight also announced a second big box expansion for Civilization, their pretty great adaptation of the hour-devouring PC game. In 2011 they released Fame and Fortune, which added another 281 cards, tiles and tokens, from such far-flung nonsense as Shakespeare to the Military-Industrial Complex. You’d think that’d be all of human history sorted, but APPARENTLY NOT. In their hunger for your hot dollar, Wisdom and Warfare performs the ethically dubious act of adding yet more “historical” features which, as far as everyone at SU&SD can tell, are, in fact, entirely fictional. Anyone else heard of the “Notre Dame”? What about “Ghengis Khan”? I didn’t think so. Shame on you, Fantasy Flight. 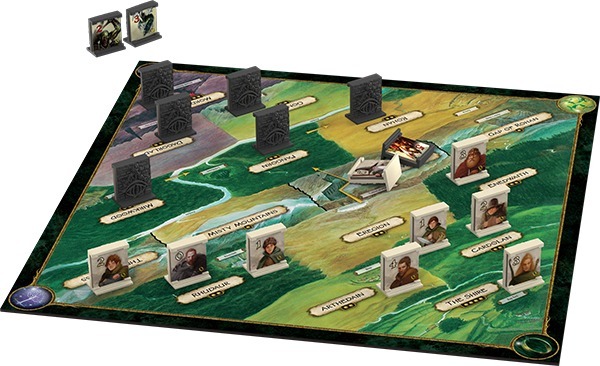 Finally, we’ve got Fantasy Flight’s announcement of a spanking new edition of board game institution Lord of the Rings: The Confrontation. Released back in 2002, this is a game of tactics and bluffing for 2 players where one player has to try and get the One Ring to Mt. Doom at the end of the board, while the other has to f**k him up. I think the manual uses those exact words. The new edition promises fancier art, some variants introduced in the old deluxe version, and some rules clarifications to make an accessible game even easier to play! Very nice. 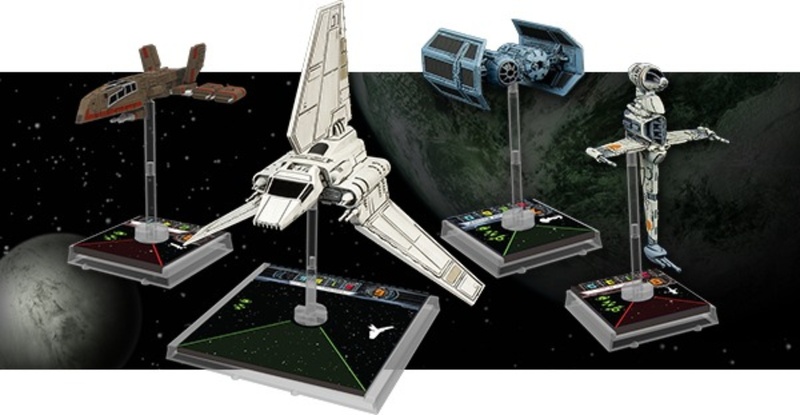 But it’s not only Fantasy Flight who can release fancy expansions for fancy things! Mage Wars: CONQUEST OF KUMANJARO is coming this June! Smaller than the Forcemaster Vs. Warlord expansion, it’ll still add two new wizards carrying literal books of tricks, except by the looks of things the new Johktari Beastmaster and Priest of Malakai will be fat tweaks to the existing Beastermaster and Priest in the base set. All of which makes me feel TERRIBLE. Following our Impressions post, I still haven’t given the Mage Wars base set the time it deserves. Which is a lot. Of time, I mean. Ordinarily, oversized game boxes are just annoying. Mage Wars’ is a warning. This game is huge and deep like a swimming pool. And not one of those horrible, over-chlorinated ones, either. Maybe it’s deep like a lagoon. Full of… wizards? I need a coffee. 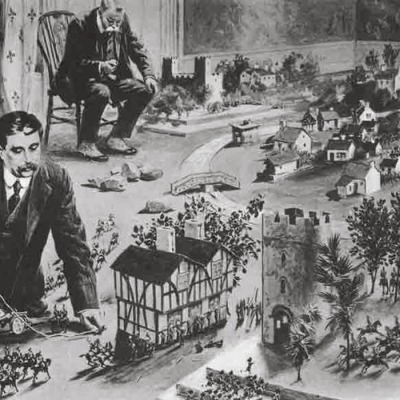 You can actually download the full thing right here, thanks to Project Gutenberg. Thanks, Project Gutenberg! Ah, but what would Games News be without the opportunity for you guys to spend some MONEY? Let’s look at some Kickstarters. Anyone who has yet to pick up the pretty great Alien Frontiers now has an irritatingly good opportunity. The Kickstarter for the 4th Edition (they’ve been doing a new edition each year) looks wonderful, with fabulous tokens (seen above), promos, faction packs, even upgraded box art. Bastards! And FINALLY, we have the Kickstarter for Stefan Feld’s Amerigo, which, if it’s anything like basically every other Stefan Feld game ever, will be as rich, juicy and adult as a mathematically perfect grapefruit. Amerigo doesn’t actually refer to America, but to Italian explorer Amerigo Vespucci, after whom America is thought, perhaps, to be named. Players are explorers along the lines of Vespucci himself, and must colonise islands without knowing what actions will be available. Which doesn’t sound like Vespucci at all. Pretty sure he could do what he wanted. 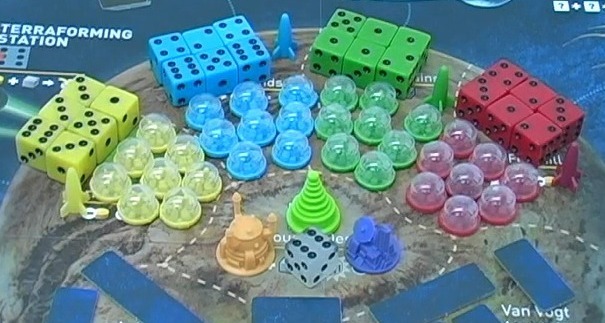 Anyway, throughout the game cubes will come tumbling from a dice tower, the colours of which will determine what players can do. 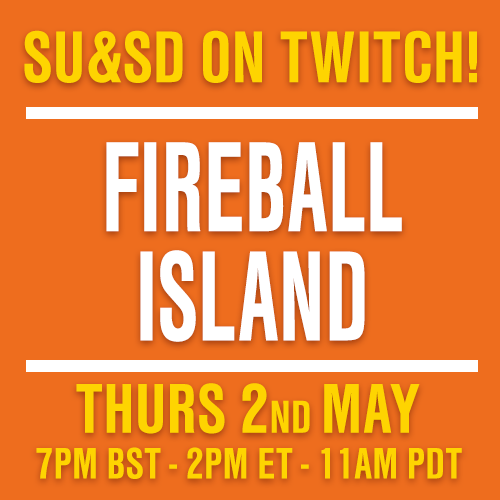 Combine that with the randomised board, seen above, and you’ve got something SU&SD is very, very curious about.